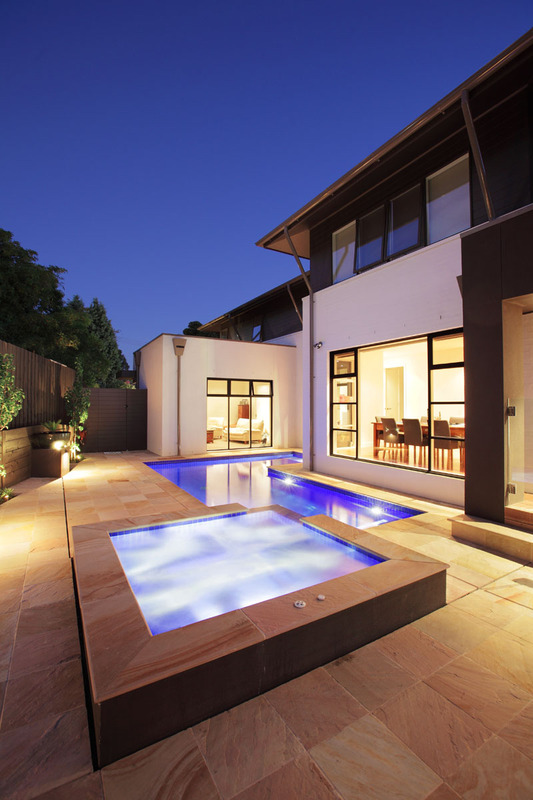 A modern home with an outdoor space to match. 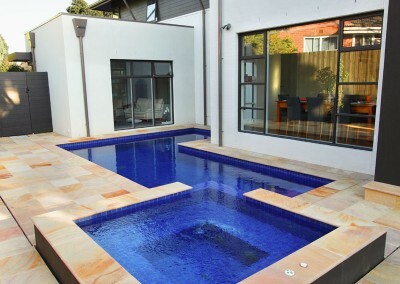 This amazing L shaped pool wraps around this home and provides great views from the internal living areas. 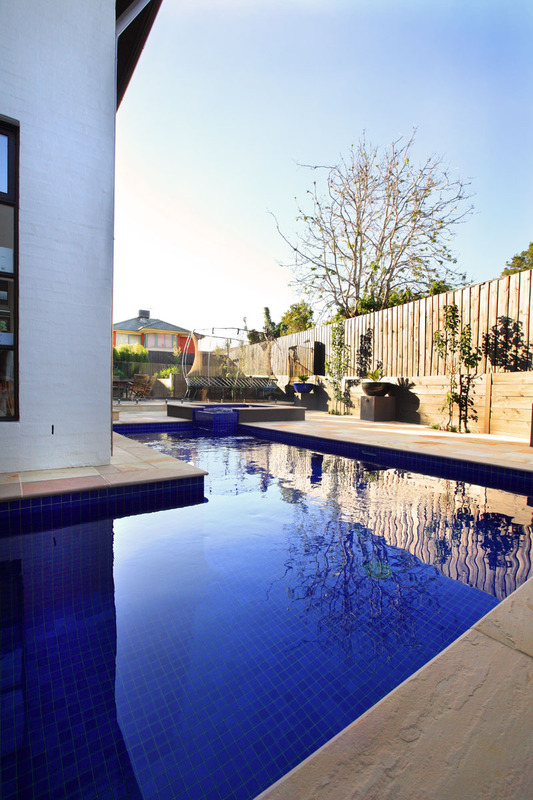 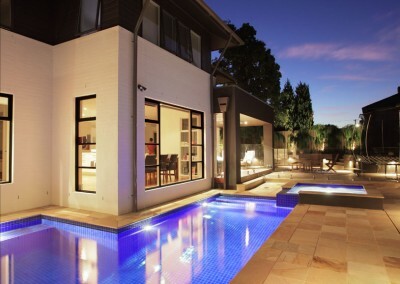 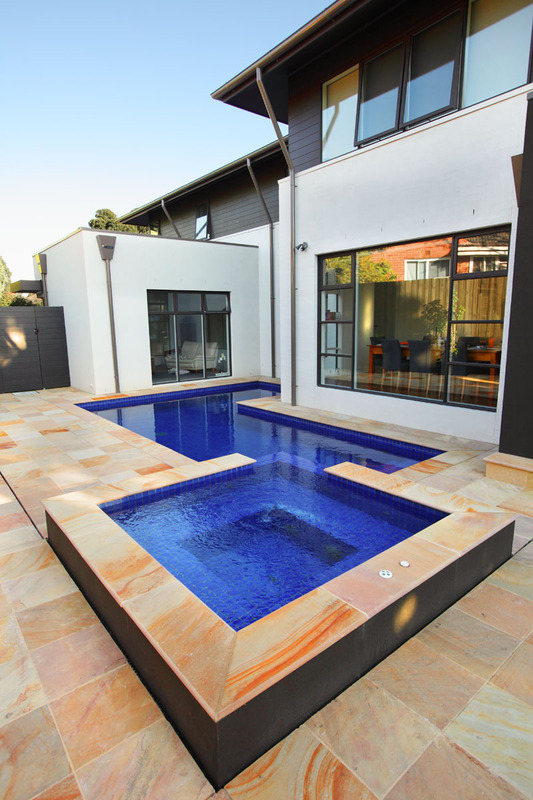 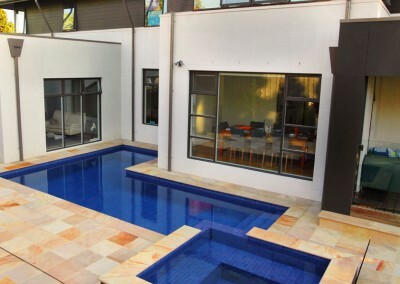 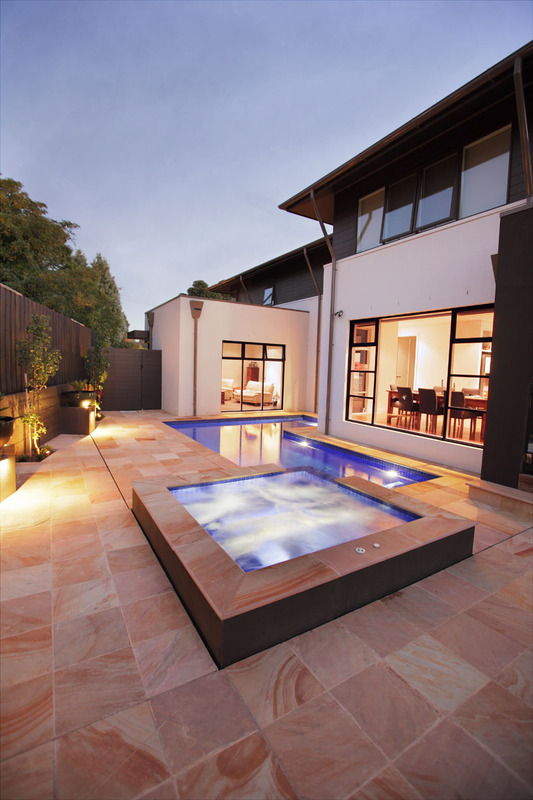 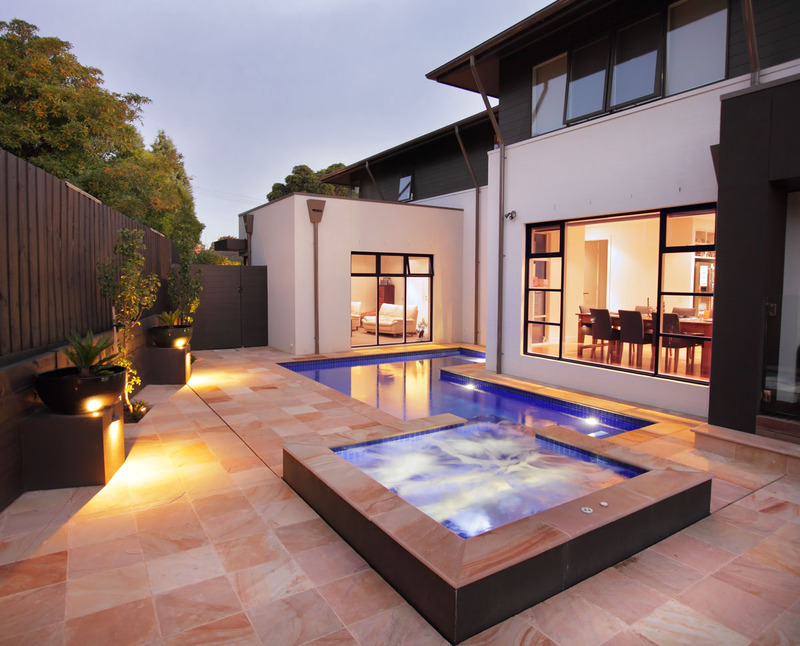 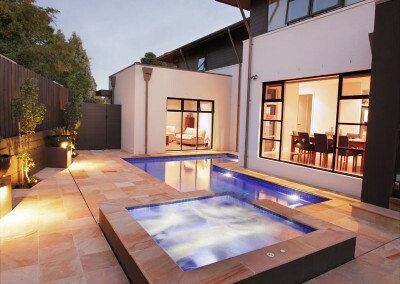 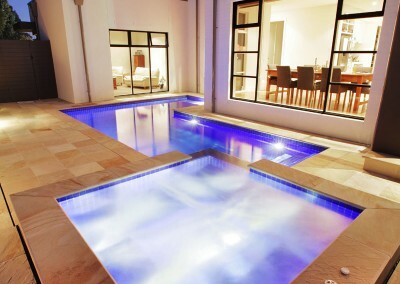 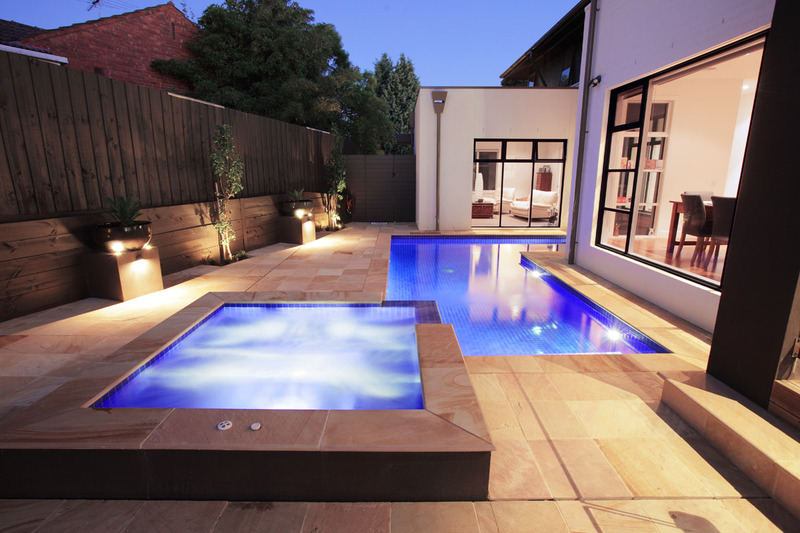 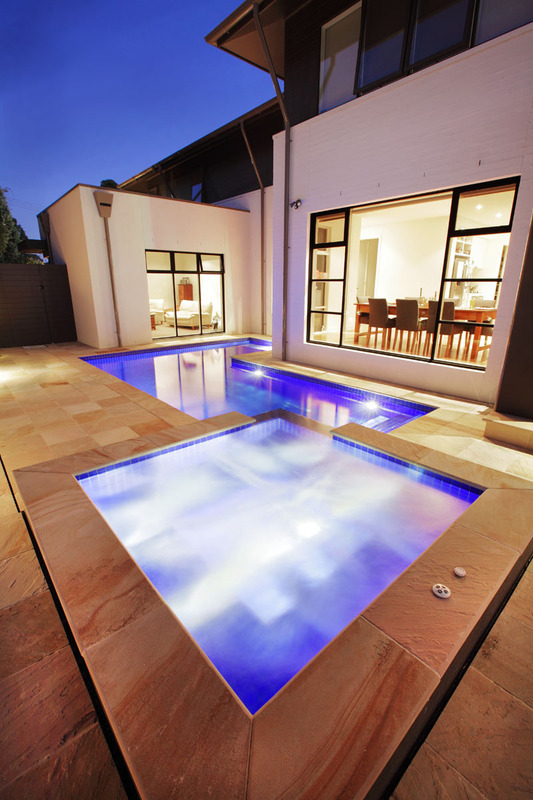 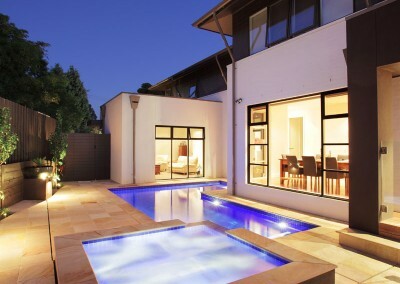 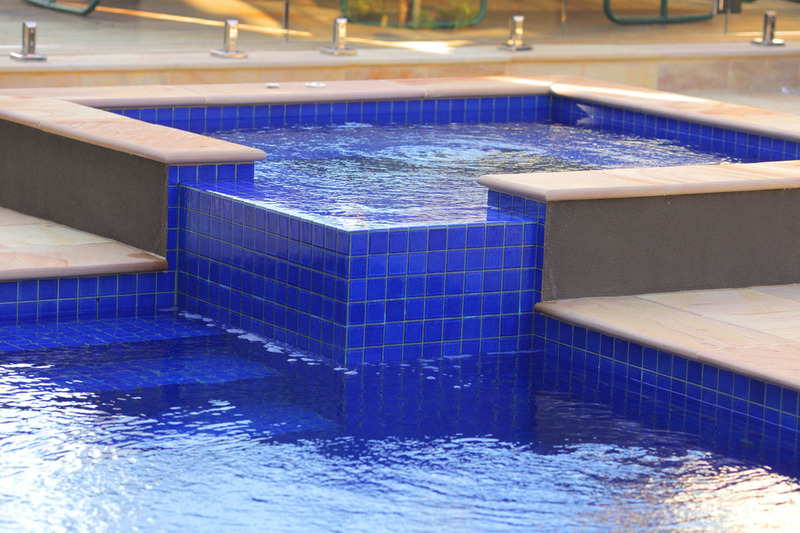 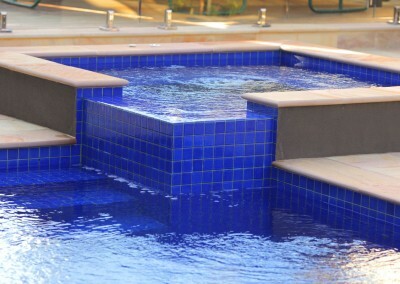 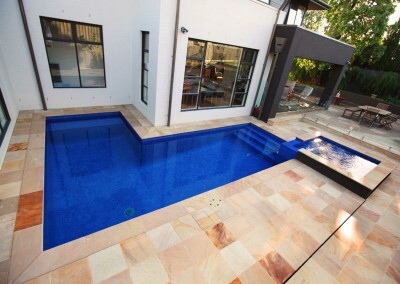 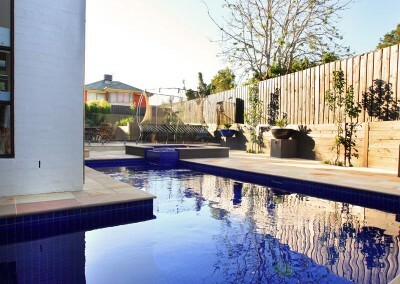 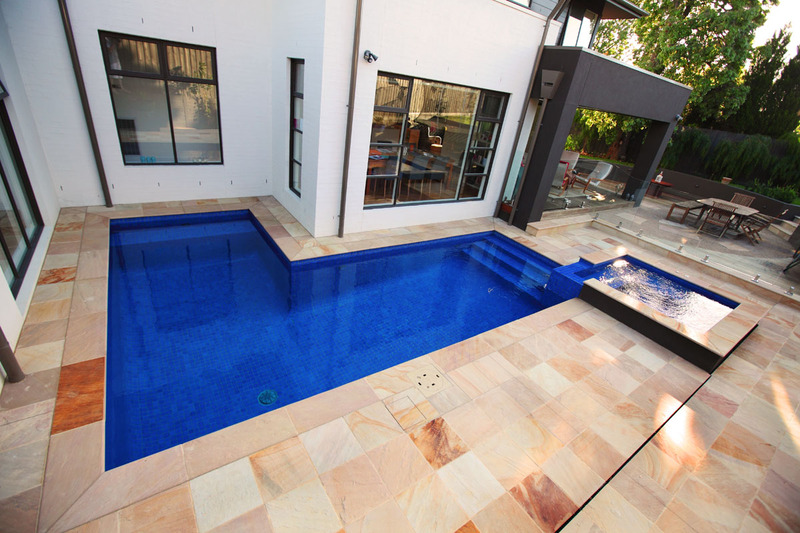 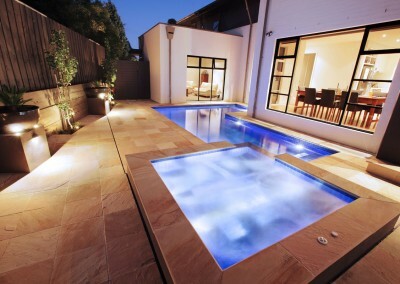 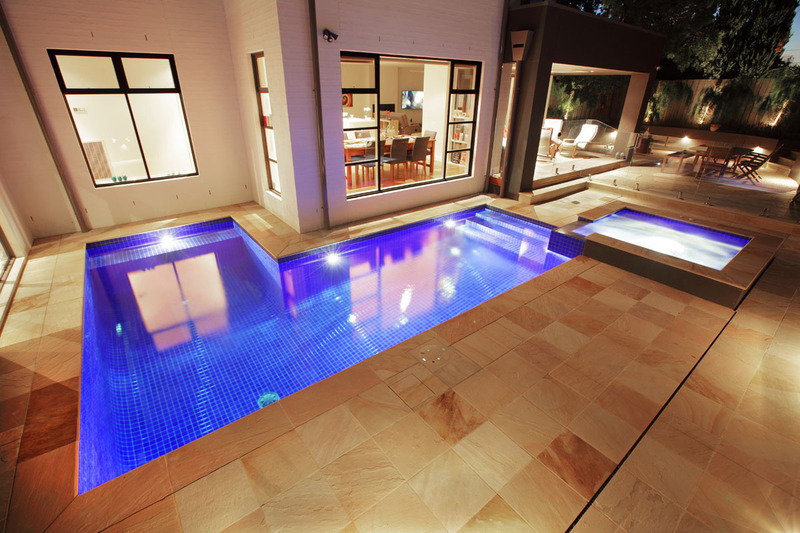 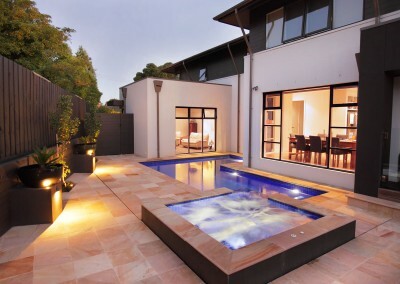 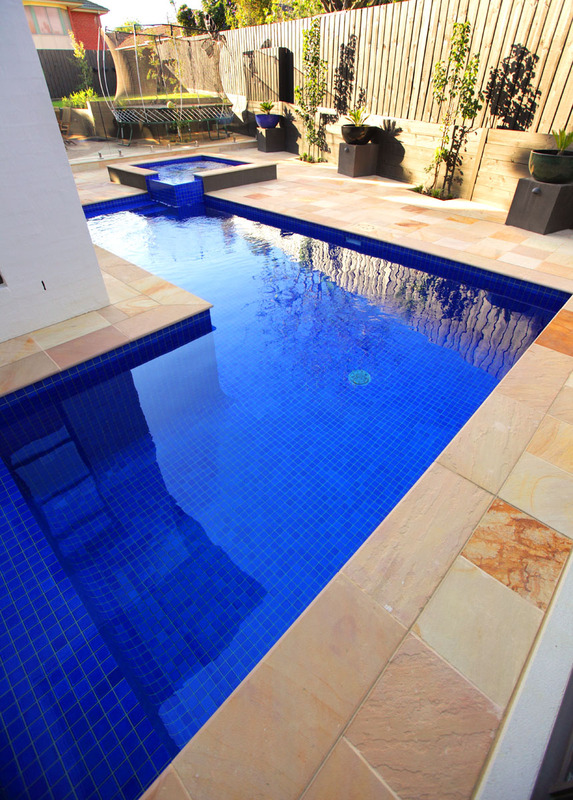 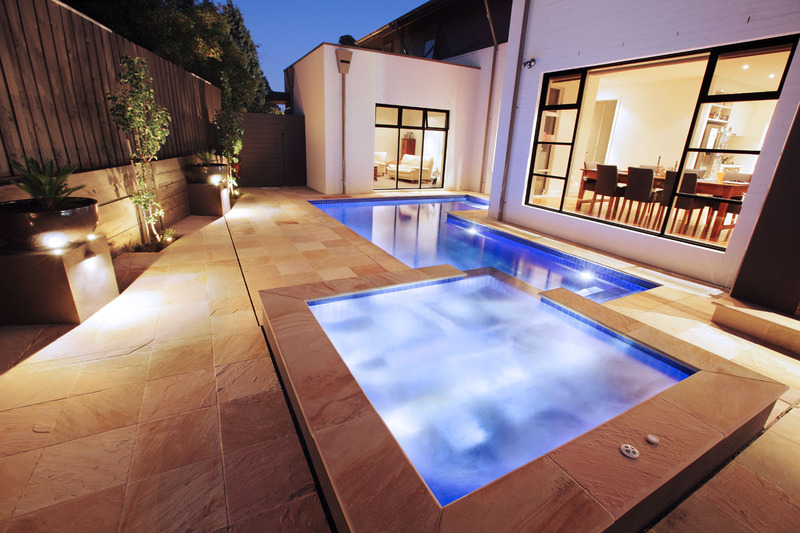 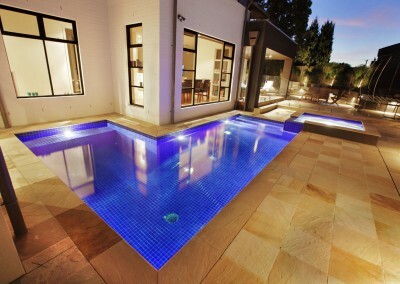 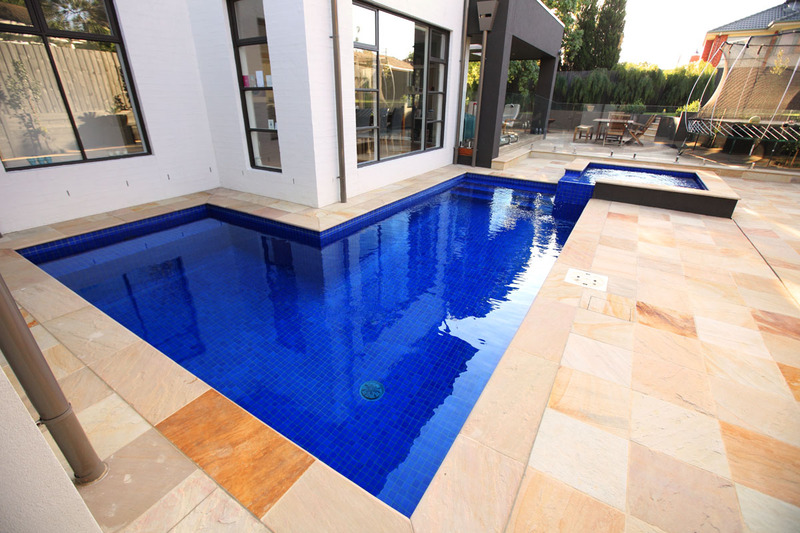 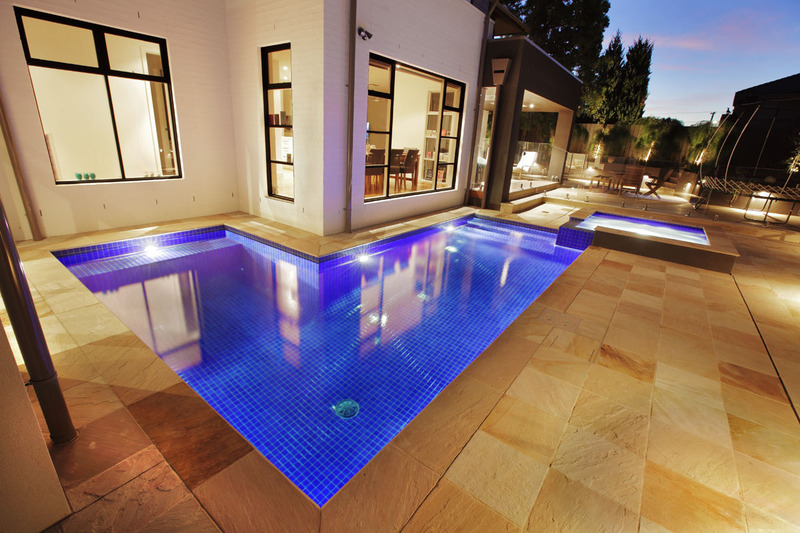 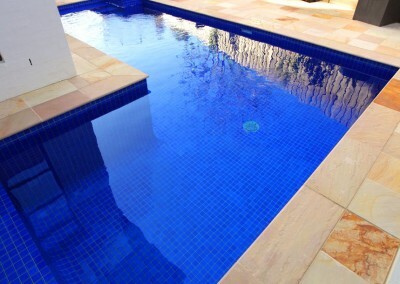 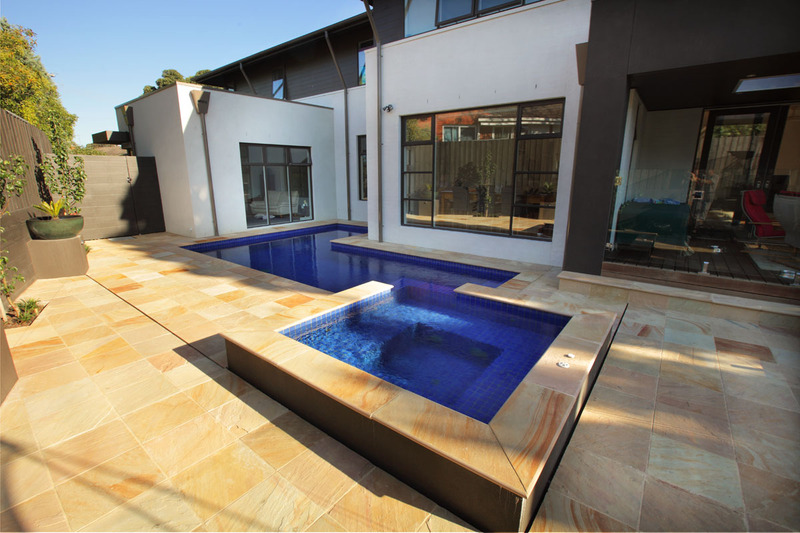 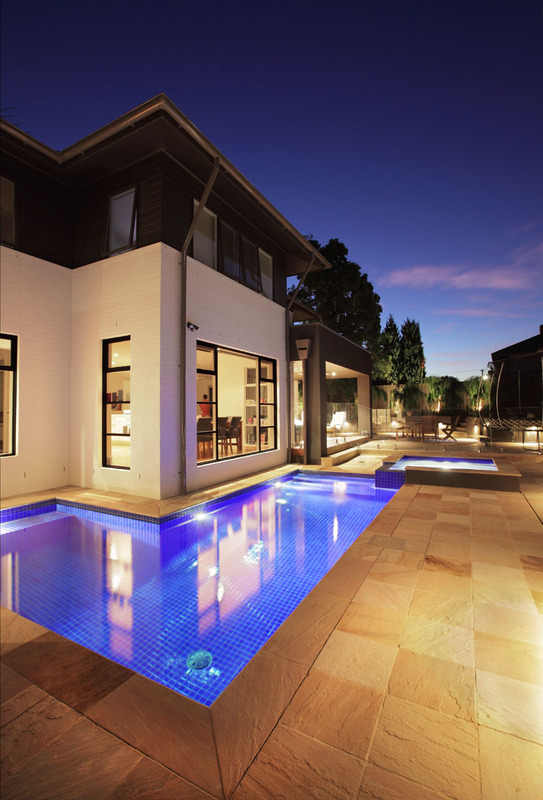 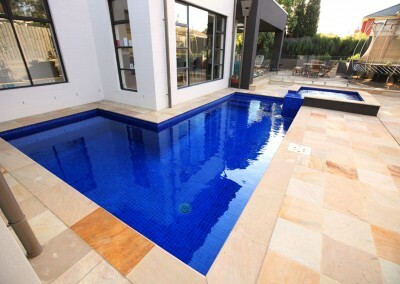 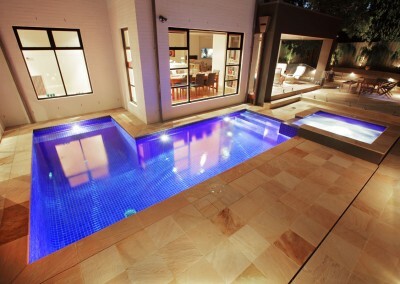 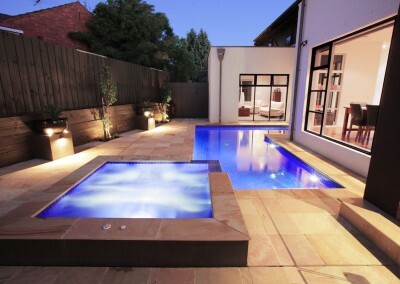 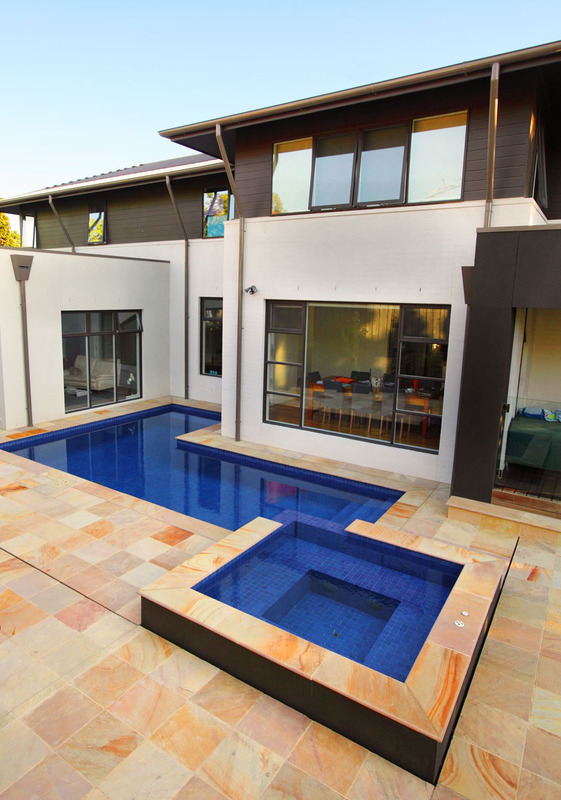 The natural Sandstone blends perfectly into the landscape and provides a timeless feel for the pool and its surrounds.